The Review of 1998 Continues in Episode 31! Join Andy and Jeff for Part 2! Think of this FOUR HOUR, two part monstrosity of a 1998 Year in Review as an historical curiosity, because we will NEVER do it this way again. That said, Jeff Jacobs was a wealth of knowledge on this show, breaking down angles and characters like you rarely see. I was also there, throwing in my two cents where it was needed. 1999 will be different. It has to be. But for now, enjoy (if you dare) the Satellite of Love Year In Review, WWF 1998! Andy and Jason are back to talk the latest news including 3 Hour RAWs, TNA going LIVE, King Mo, PLUS we talk about WWE’s Top 50 WCW Superstars list! Then there’s a little more about business and DVDs! So #CheckItOut! 1998 draws to a close as Andy and Jeff ponder what is the Deadly Game? Is it man, or is it a 14 Superstar tournament involving Duane Gill and Al Snow? The answer will shock and amaze! It’s the Satellite of Love, Episode 29 – Survivor Series 1998! Random Radio is back with a special topic: the 20th Anniversary of Power Rangers! Jason invited Andy to the show to discuss possible scenarios and ideas as well as his impressions of Gokaiger. So #CheckItOut! It’s the return of OFFICER PAUL on Andy’s Satellite of Love! Top 5 lists and vintage video game chat abound with this dynamic personality of the stage, screen, and police headquarters! Shout! Factory officially announced their plans to release a Power Rangers DVD Box set. 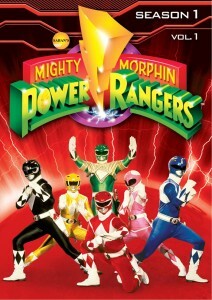 Last week, the release date and price for Mighty Morphin Power Rangers Season One, Volume One was released. However, Shout! had something better in store. Starting July 30, 2012, fans will be able to purchase the Box Set including all of Mighty Morphin Power Rangers (Seasons 1-3), Power Rangers Zeo, Power Rangers Turbo, Power Rangers in Space, and Power Rangers Lost Galaxy. That is the first seven seasons! I realized yesterday evening that I didn’t do the older shows links correctly so you can’t currently download any of them, or even play them. That’s ALSO why the Audio Player doesn’t show up on the older posts. Speaking of which, I didn’t plan for the Audio Player to show up on the main page at the end of posts. I wanted on the post pages themselves, but not the main page. Does that bother anyone else? Technically, I can use that player or one slightly like it but without the Download button or Pop-out Player. That one was supposed to automatically add the mp3 to our RSS feed. But I have no idea to know if that is working, AND if I turn it on is it going to cause anyone who uses our feed to automatically be bombarded with 90+ podcasts? Not too sure. But this is your update on that front. I will eventually get it fixed, and I will get the remaining older episodes posted. Thanks for everyone’s patience! Hopefully this will be our inagural iTunes episode! Yeah, it only took us 69 to realize we needed to try this iTunes thing out. Well on this episode we run down Monday Night RAW in quick fashion, and make our assessments on the current story lines and where we think they’re heading. Additionally, we talk some basic news points of the week, so #CheckItOut!